Blockchain Technologies Corp. praises Maine State Senator Eric L. Brakey for introducing a resolution to the Main State Senate proposing the creation of a commission to study the use of blockchain technology in conjunction with paper ballots for Maine elections. 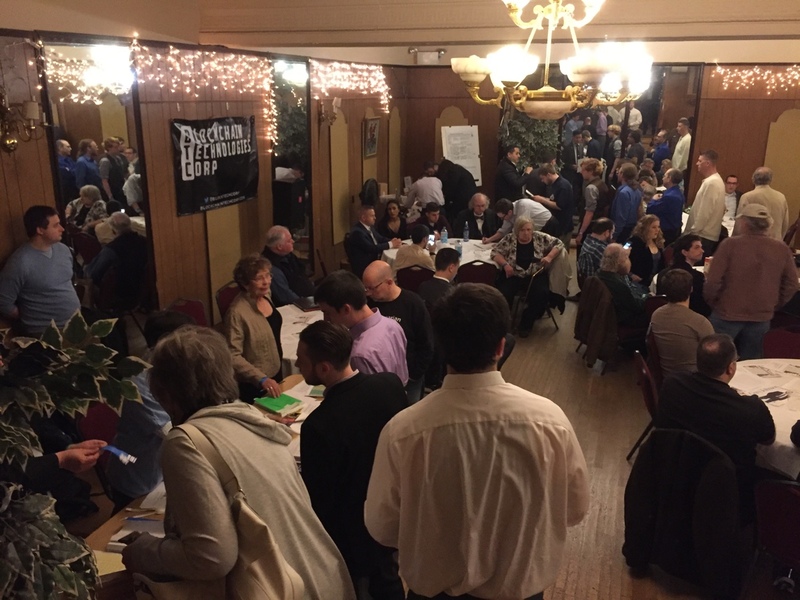 Blockchain Technologies Corp. traveled to Maine on Monday, 3/27/17, to speak at the initial public hearing for the resolution. Many members on the committee were completely new to blockchain and they raised some interesting questions. 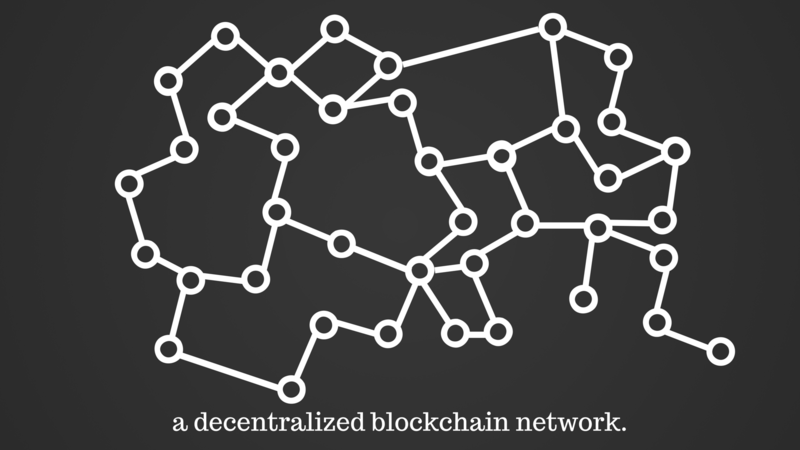 The blockchain is a new technology that uses a global network of computers to create timestamped records that cannot be altered or deleted. In other words, once the ballots are scanned the data is “set in stone” — nobody is able to manipulate the results. It is a whole new paradigm of data integrity. One representative was concerned about using Bitcoin, but was reassured once it was clarified that blockchain and Bitcoin are not the same thing. “People are learning the hard way that there are many different blockchains, and the blockchain whose participation in is rewarded in Bitcoin has so far happened to be the most transparent and highly secure for data storage,” says CEO Nick Spanos. However, even with the use of such a cutting edge technology, the original paper ballots filled out by voters remain the ultimate document of record. 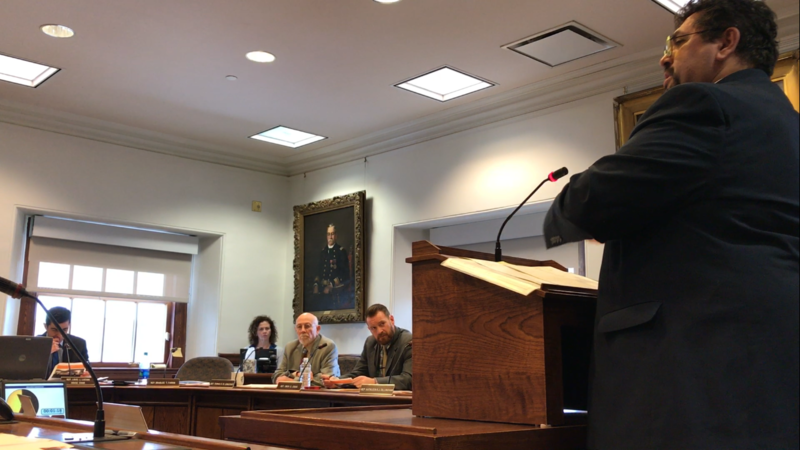 A representative from the League of Women Voters and the Maine Secretary of State’s office both appeared at the hearing to speak neither for-nor-against the bill upon learning paper ballots remain the foundation of the blockchain voting system, noting they would have expressed opposition if it it was an internet-based voting system. A variation of the blockchain voting system developed by Blockchain Technologies Corp. uses paper ballots. 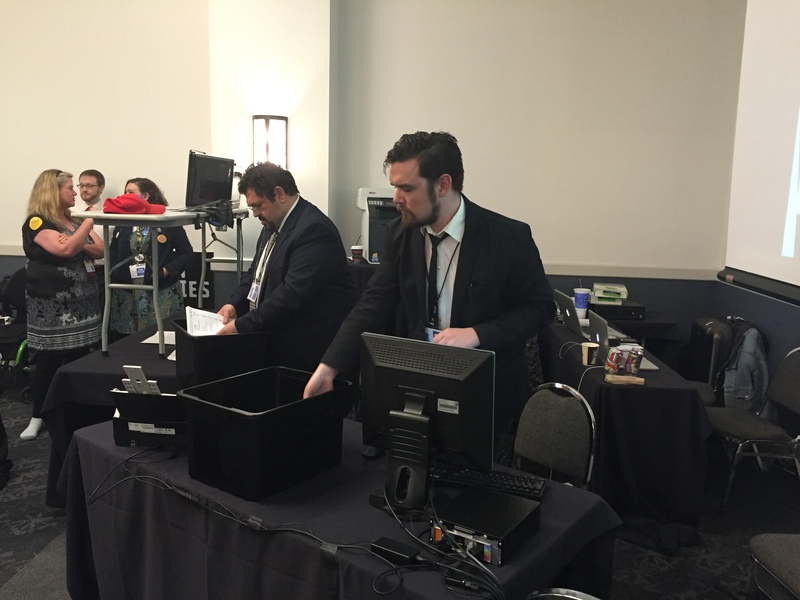 Ballots are fed through a high speed scanner to record voters’ choices and as each ballot is scanned, the votes, including a ‘hash’ of the ballot’s image, are uploaded to the blockchain. Blockchain Technologies Corp. is based in New York, NY. They bring sorely-needed technology and increased transparency to the election process. 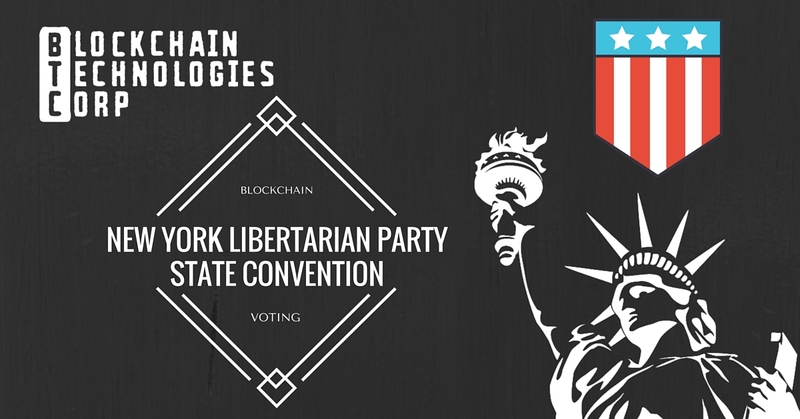 In 2016 the company live-recorded Iowa Caucus results on the blockchain and conducted elections at the Libertarian Party state conventions in Texas and New York. Blockchain Technologies Corp. has been awarded 16.7% of all blockchain patents to date. For more information visit blockchaintechcorp.com, follow them on Twitter @blocktechcorp, or email nick@blocktech.com. The new VoteWatcher blockchain voting solution uses paper ballots first and, once scanned, scanned ballots are uploaded to the blockchain for safe keeping. There is no other way to fully ensure a secure election. Blockchain Technologies Corp. continues to work on its tamper resistant blockchain voting machine dubbed “VoteWatcher.” This work is urgent amid all of the news about elections being considered “critical infrastructure” like the power grid and financial sector, and the FBI reporting hackers broke into multiple state voter registration databases. Forbes recently published an article about the possibility of using blockchain technology to secure elections. With all of the recent talk about hackers targeting U.S. election systems and blockchain hype cycle in full effect, this seems like a natural story to appear. Considering we have been working on ablockchain voting machine for almost two years now, we felt it necessary to chime in. What Is The Blockchain & Why Does It Help Secure Elections? 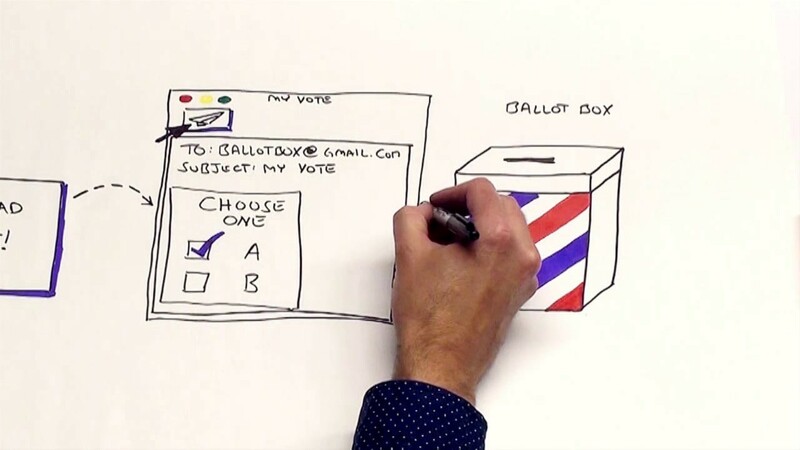 One of the key features of the voting machine technology we are developing is the use of the blockchain to create what we think is the most transparent, secure voting system possible. But what exactly is it about blockchain technology that makes its application to elections such an exciting proposition? So glad you asked! You don’t necessarily need to know how blockchain technology works in order to appreciate what it makes possible and why it so exciting. How Can We Improve Voting Machines? It would be great if everyone eligible to vote automatically received access to an official website/app they can use to vote in any and all elections they are eligible to vote in. Archaic voter registration processes, standing in line at polling sites, and confusing ballots seem so 20th century. Surely something can be done to bring elections into the 21st century with all of the fancy new technology we have available, right? 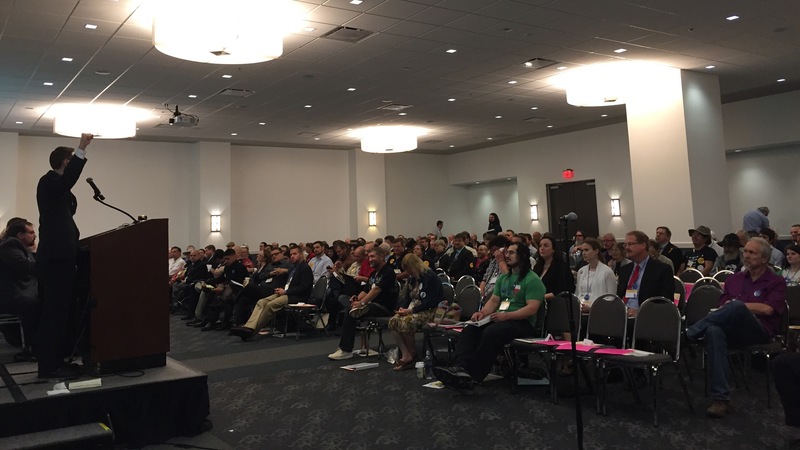 Image: The Libertarian Part of Texas’ 2016 State Convention, where Blockchain Technologies Corp. was chosen to service their balloted elections. Our posts also live on Medium, a popular publishing website. Follow @blocktechcorp on Medium! We Are Happy to Provide A Free Election Consultation Get In Touch Today! © 2016 Blockchain Technologies Corp. All Rights Reserved.